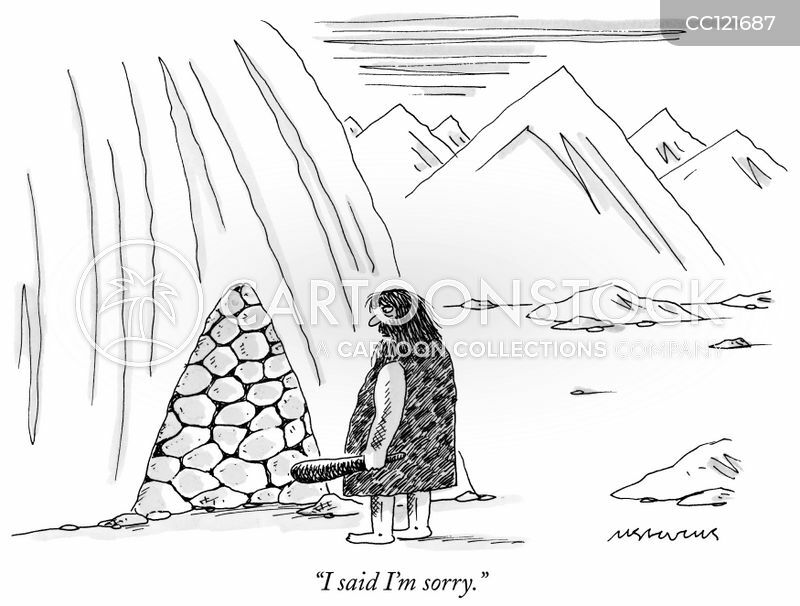 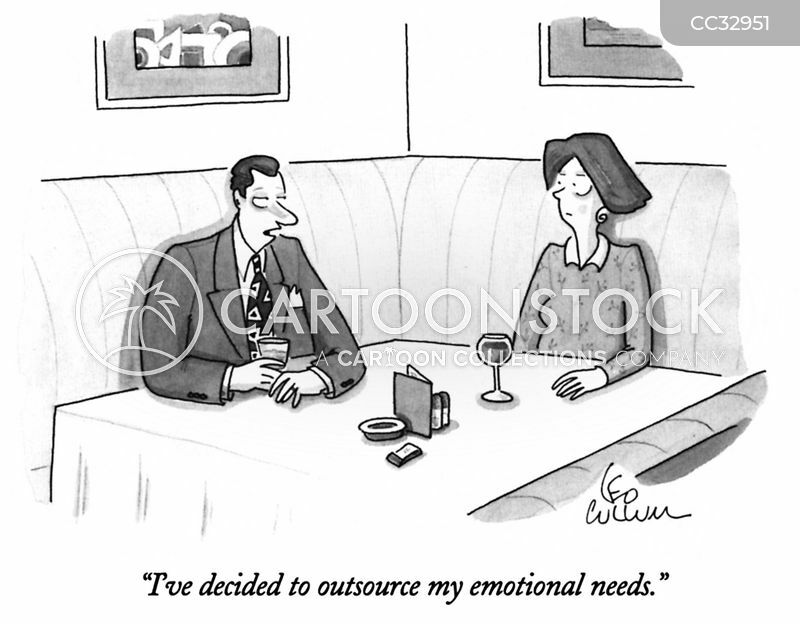 "I've decided to outsource my emotional needs." 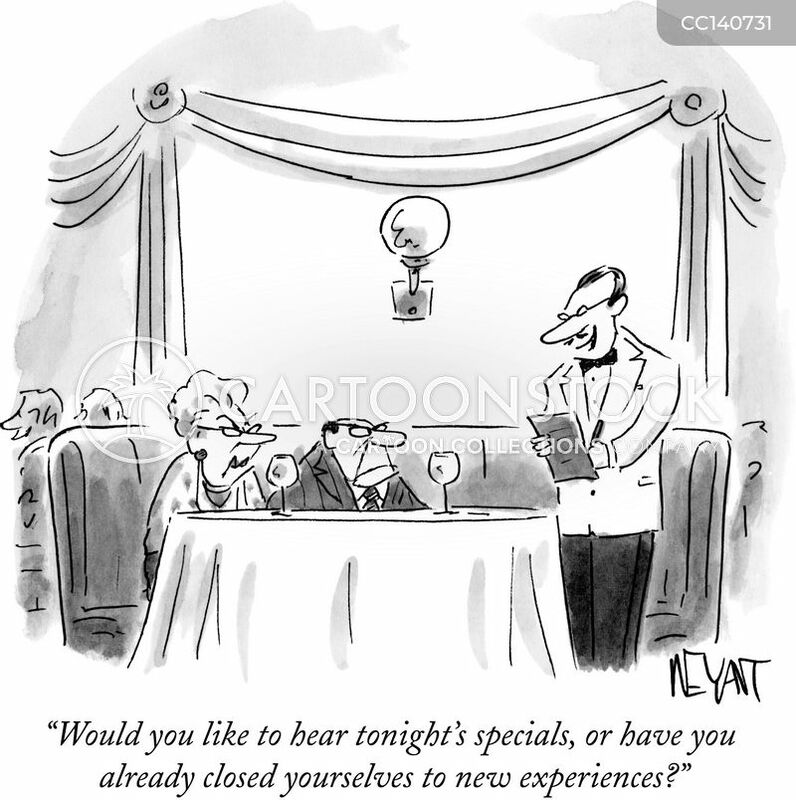 "Would you like to hear tonight's specials, or have you already closed yourselves to new experiences?" 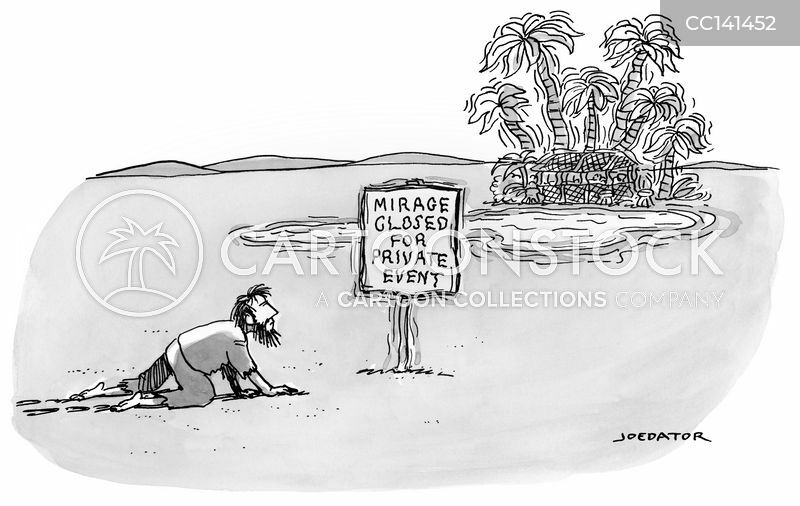 Man crawling toward an oasis sees a sign reading "Mirage closed for private event". 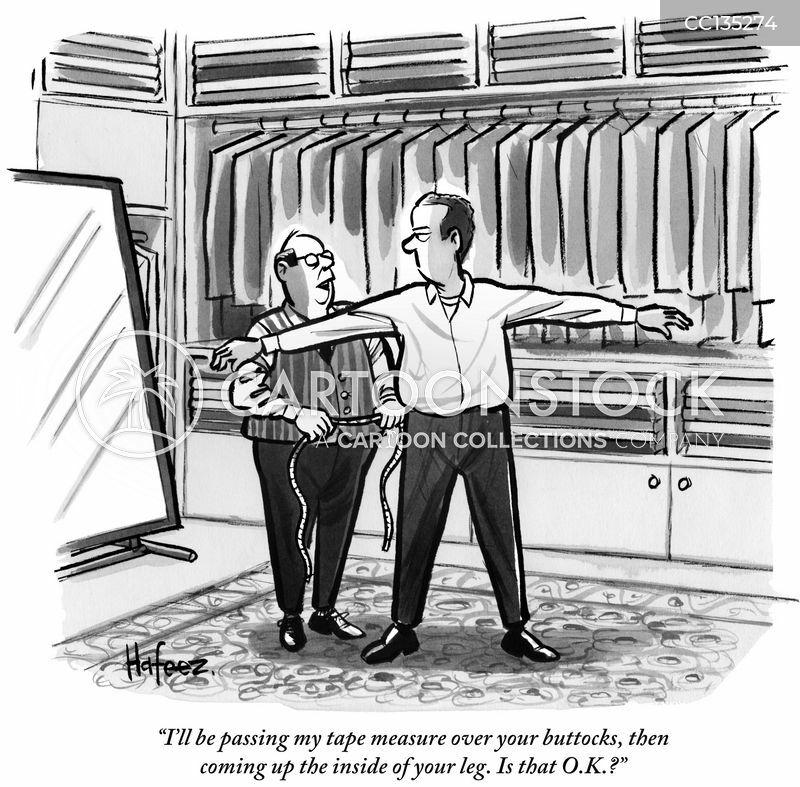 "I'll be passing my tape measure over your buttocks, then coming up the inside of your leg. 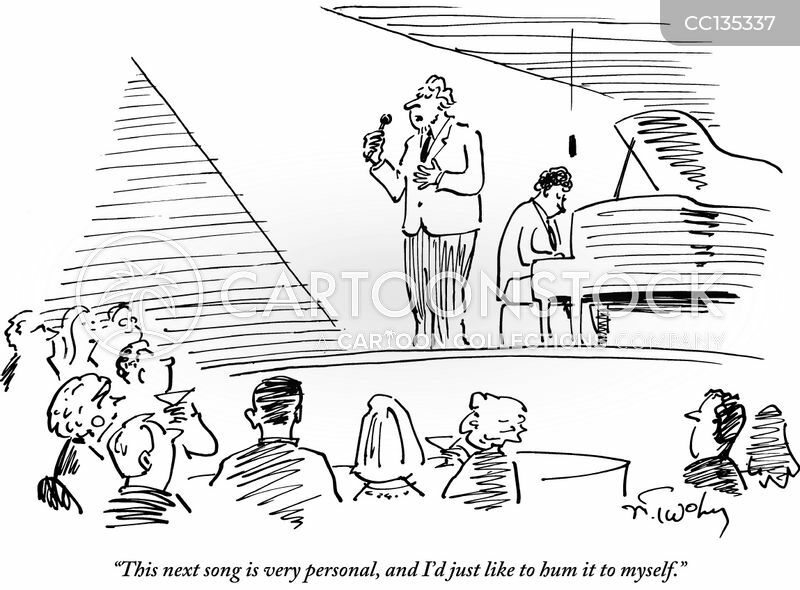 Is that O.K.?"